On Sunday, April 29 2018, along with PRA (Pimpinan Ranting Aisiyiah) Tamantrito Selatan, PBI UMY held a community service event in Tamantirto community hall. The event include bazaars of cheap daily needs (rice, cooking oil and sugar), fruit trees, and second-hand clothes. The first two items were limited only for those with coupons, which have been previously handed in and shared by the PRA. There were 100 coupons of 10 kinds of fruit trees and 200 coupons shared with the citizens in Tamantirto. 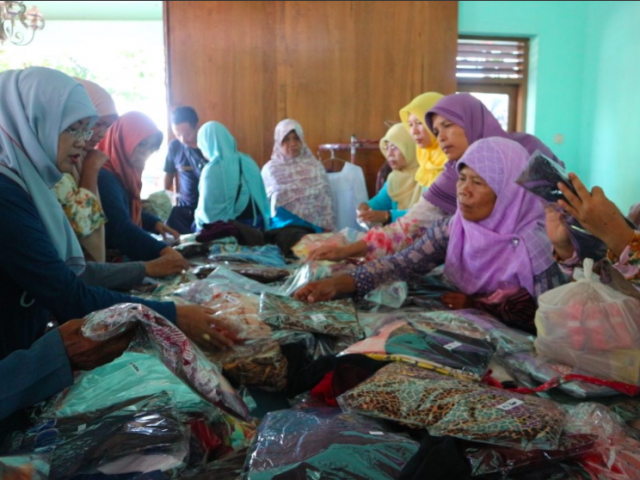 Meanwhile, the last item, second-hand clothes were sold as cheap as Rp 1.000,00 up to 5.000,00 per piece. There were approximately hundreds pieces of clothes. The money gathered from the selling would be used to run the PRA’s social events. In addition to the bazaars, the event also included lectures (pengajian), gymnastics, and door prize sharing. There were also food, toys and veil sellers that added up the festivity of the event. Approximately 350 people came to the community hall. 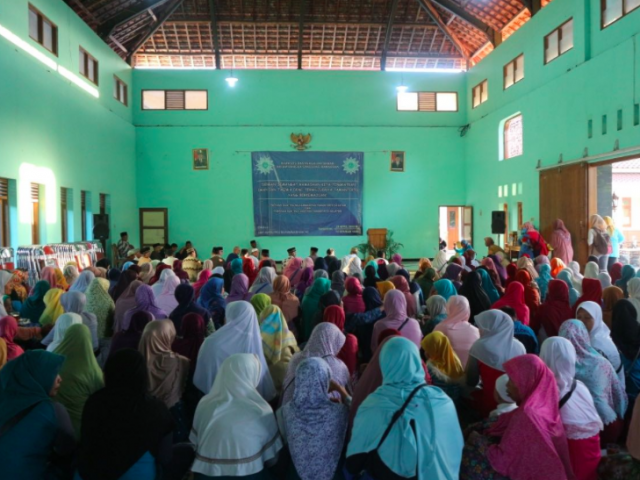 Starting at 5:30 a.m, most people went home at around 9:30 a.m.
Andi Wirantaka, M.Hum, the PBI coordinator of the vent, stated, “Alhamdulillah, many people participated in this event. I personally hope that this event will be beneficial for us, the department, as well as those who have attended this event.” In addition, Sri Rejeki Murtiningsih, Ph.D., the head of the department mentioned, “It has been a pleasure for the department to work with PRA Tamantirto Selatan in conducting this community service event. We hope that this event can benefit the society as well as strengthen the tie between the department and the community around the university through conducting events like this one. This is one of the leasts we can do to give back to society. Our students can also learn sincerity and help others who are in need.”.